Home Beauty Will Semi-Waterproof Mascara Better Than Waterproof Mascara? Imagine when you are in a romantic dating and suddenly, he told you that there is dark shading around your eyes. Guess what? It is definitely NOT okay! For sure, I will never ever let this happen on myself too. Hence, I always choose the mascara which has very strong waterproof and smudge-free feature. Yet, it is really difficult to remove it because of the strong waterproof effect. Sometimes, my eyelashes fall when removing the mascara because I rub too hard. Until I was introduced to try SkinSoul Natural Volume Attack Mascara, I knew I finally found the solution! SkinSoul Natural Volume Attack Mascara is 100% Paraben and prostaglandin free with natural mulberry extract as its key ingredient. Mulberry extract has been scientifically proven to help in nourishing, strengthening and curling lashes. Besides, users who continue applying SkinSoul Natural Volume Attack Mascara will able to see visibly thicker and longer lashes in 8 weeks! So, users can say goodbye to painful curlers, fake eyelashes and lash tinting or extension. I was told SkinSoul Natural Volume Attack Mascara is a semi-waterproof mascara. It is totally new to me about “semi-waterproof”. Guess if you google search this term, you can’t get a detailed explanation. FYI, semi-waterproof mascara is actually a waterproof mascara; however, because it is paraben free; hence, it is easier to be removed with any eye makeup remover compared to the normal waterproof mascara. As its name “Natural Volume”, it gave a very natural yet more volume look after application. I am a person who love light makeup, thus, the natural look is the thing I like about SkinSoul Natural Volume Attack Mascara. If you would like to have more volume on your eyelash, you would have to apply few coatings; however, it will cause your eyes tiring easily. 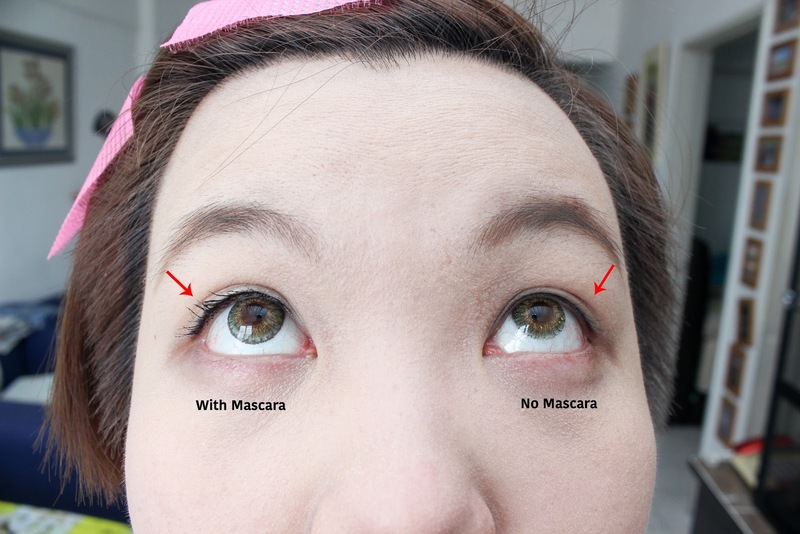 Check out the photos below, you will notice my lashes look longer after applying SkinSoul Natural Volume Attack Mascara. I wore it for about 8 hours and no any smudge around my eye. So, I would say it has a very good waterproof effect. And also, it is truly easy to remove! Finally, I don’t have to rub harder to remove my mascara! 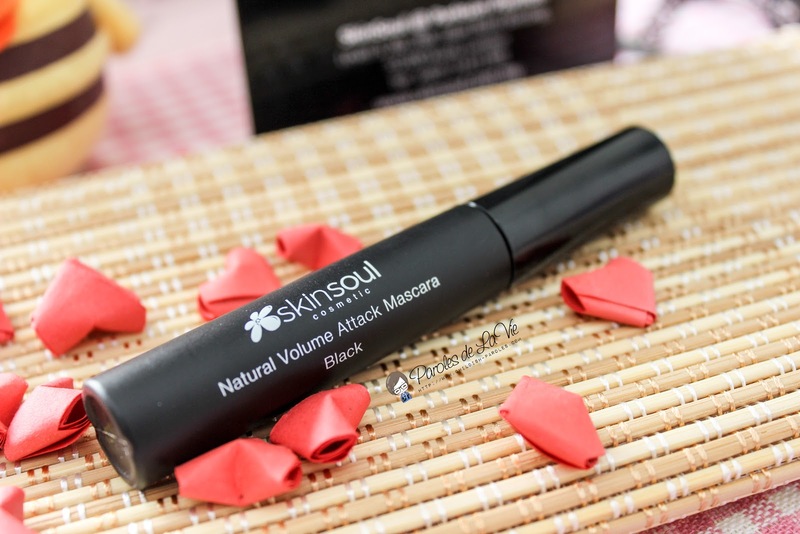 Besides, as mentioned, SkinSoul Natural Volume Attack Mascara brings visible growth in 8 weeks if users use it continuously. Since I only apply makeup one a while, I don’t really see the growth. 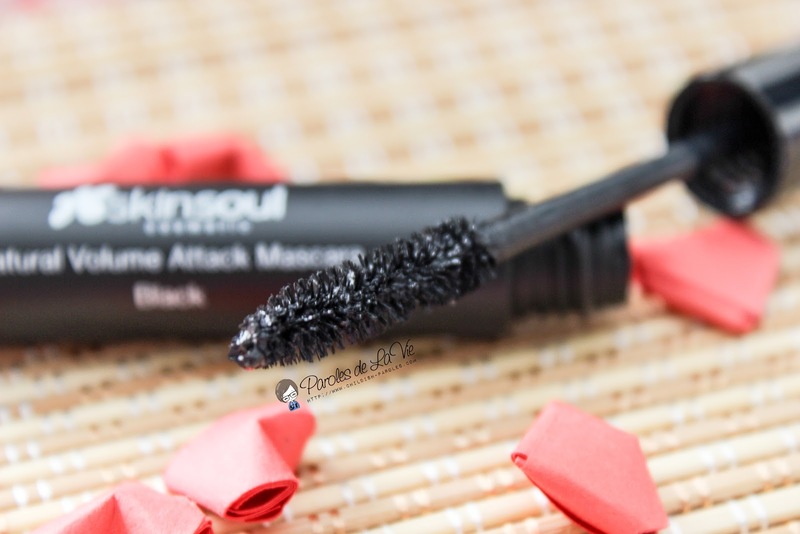 Overall, I will definitely recommend you to get yourself SkinSoul Natural Volume Attack Mascara if you are seeking for semi-waterproof mascara. Meanwhile, if you are applying daily, do let me know does it help in eyelash growth. *Note: Mention my code #SSCP, you will be entitled to purchase SkinSoul Skin Shield Travelling Set at RM388! You can also walk away with SkinSoul SkinShield Set (worth RM100) by minimum purchase of RM100. Next articleHow To Map GoDaddy Domain To Blogger? The Most Complete Guide! I really like mascara, it's part of my everyday go-to make-ups. I normally just use eyeliner, mascara, lipstick/lip tint! I don't normally wear mascara because I can't help not touch my face throughout the day. But I'd go for a waterproof mascara if ever. Well this is a new brand of makeup to me. 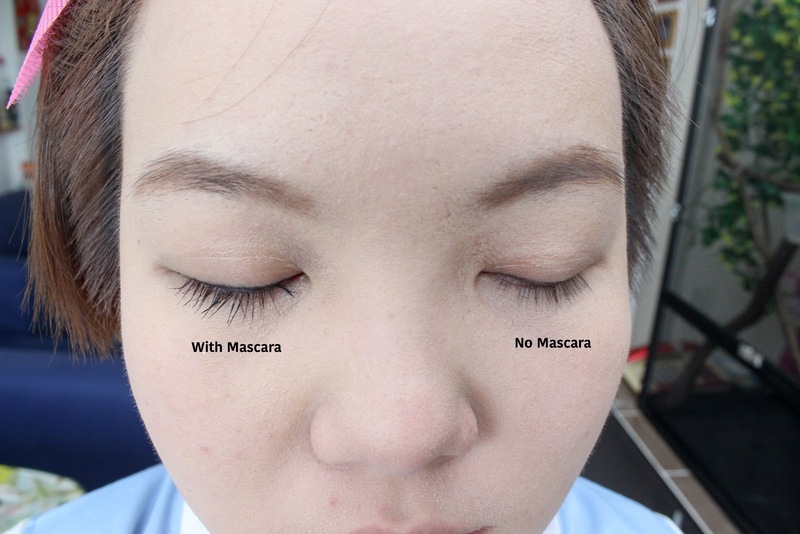 The mascara is slightly on the high side but it delivers what it promises like the length of eyelashes. It looks nice but I never gave a thought to waterproof or normal mascara but it sounds good. An easy to clean off mascara that does smudge easily is always a good buy. Glad you found one you like! It does look good on you. Just says so much on how effective the mascara is. So far I have not try any semi-waterproof mascara before. I think it is alright if we don't have too oily skin. I saw many people start using Skinsoul also. My wife does not use mascara at all. Nor did my mom. I have no idea how to answer your question in the title. These days, I don't really wear makeup anymore except for mascara. That's non negotiable for me. It's makes such a huge difference. Maskarras can really change the emphasis on your face. I LOVE maskarra. Its best you choose a good one so it doesn't smear. That also annoys me when I wear mascara – the black ink goes to your under eye. (or probably because my lashes are naturally on its way down, going back to its real form, lol). It's also my first time to heard of "semi water proof". 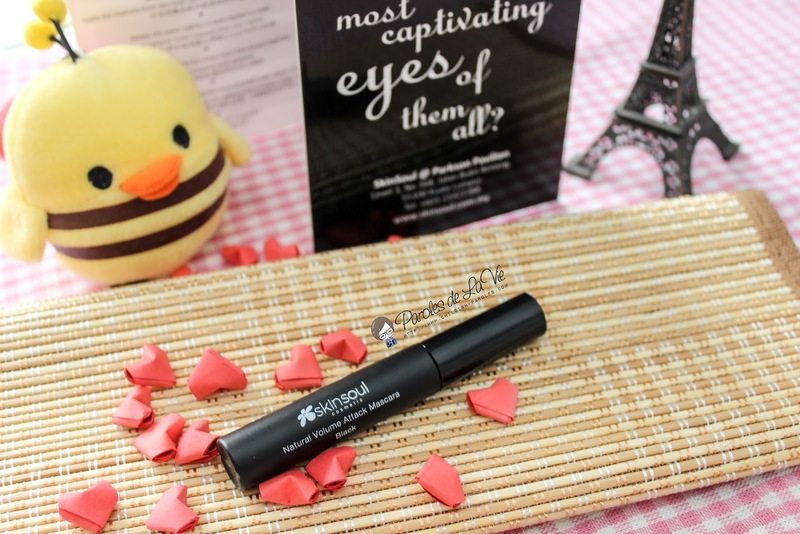 It is good that this particular mascara, a semi-water proof from SkinSoul works well for you. And you're confident then in recommending this to others. A woman's choice of your daily routine with make-up..sure, you found the best for you. Hoping that it's great for your make-up needs. I haven't tried semi-waterproof mascara. Like you, I do not like waterproof too because it feels like I'm also removing my eyelashes when removing the mascara. Hoping it's available so I can try. I usually don't use one though because of how messy it can get. You reminded me why I usually forgo the mascara. Because it takes a lot of time for it to be completely removed! Well, I seldom makeup unless special events or dating. But, this mascara really becomes my favorite! Yeah~ I guess this is the first semi-water proof mascara in the market. You are right, choosing a good mascara is really important. It is also my first time heard of it too. Yeah, make eye bigger and look more gorgeous. I seldom makeup except events too..
You should give it a try. Guess you will love it too.. Yes, this is really good mascara.. Guess semi waterproof is okay. It is same with waterproof mascara, just that easily remove. I love the lenses that you are wearing. I am not a big fan of waterproof mascaras honestly until in winters or its raining.